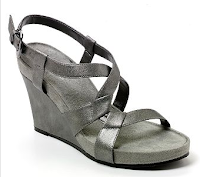 If you haven't checked out the shoes at Kohl's lately, you should head over there this weekend. They're having a big Mother's Day sale and you can buy something for your mom and some awesome wedges for yourself. I love this style of shoe because you can wear it all day without pain, and they look great with jeans or dresses.